Parked outside the Mexican Villa. 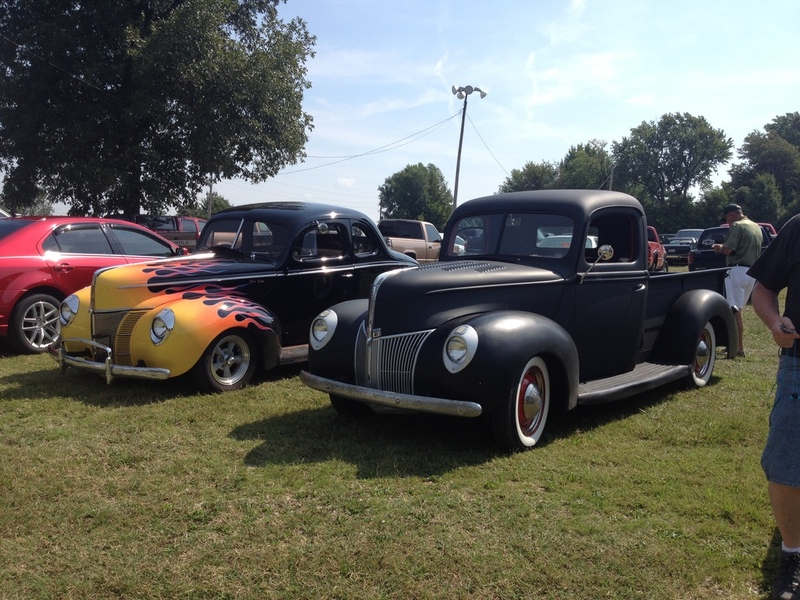 This past weekend was full of Mid-August SWMO hot rod guy awesomeness. 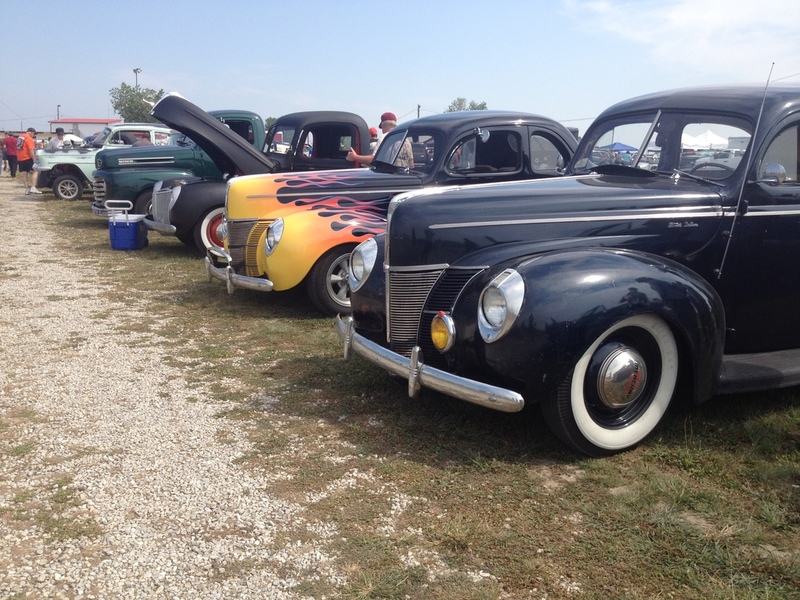 The Ozarks Antique Auto Club hosted their annual swap meet, and the HAMB Drags were on Saturday, over in Asbury, MO. At the swap meet, with David Hay. 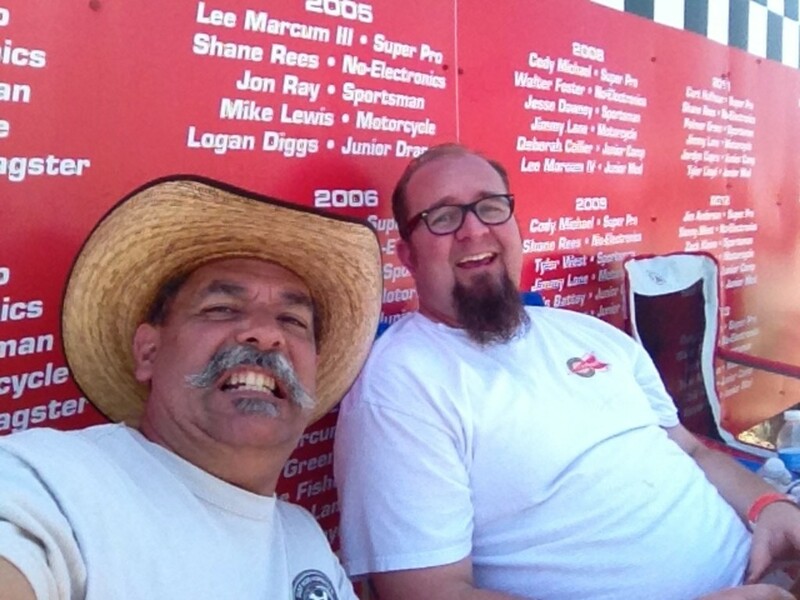 On Friday, I met up with my buddy, David Hay, and we ran out to the swap meet. Afterwards, we grabbed some lunch, at Mexican Villa, and he headed on over to Joplin, and I got back to work. 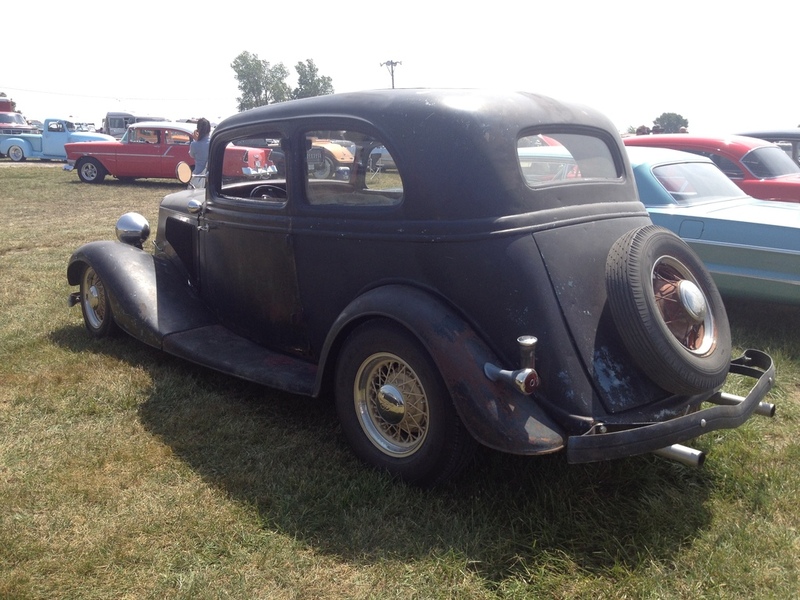 On Saturday, I ran by and picked up Quentin Brown, and we cruised in my coupe, over to the HAMB Drags. 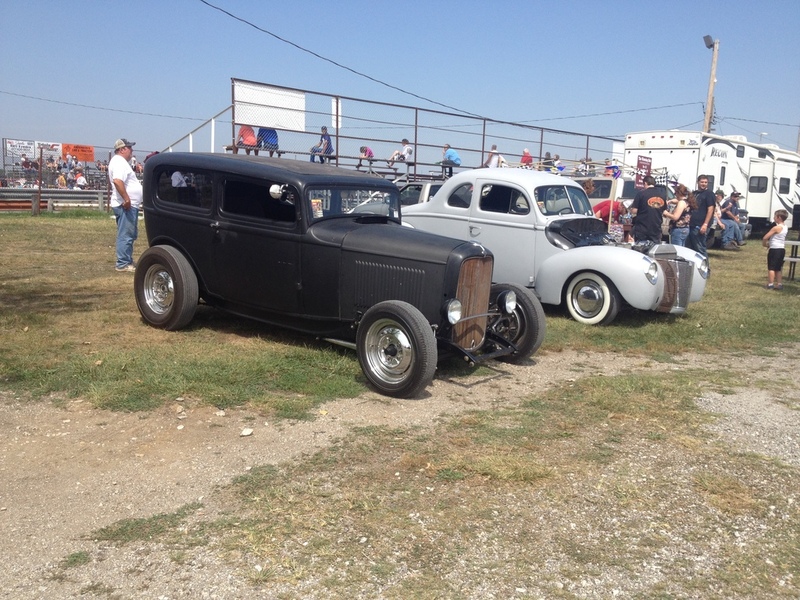 We blasted across old Route 66, and found our way to Ryno’s shop, where some of the guys were gathering before the drags. 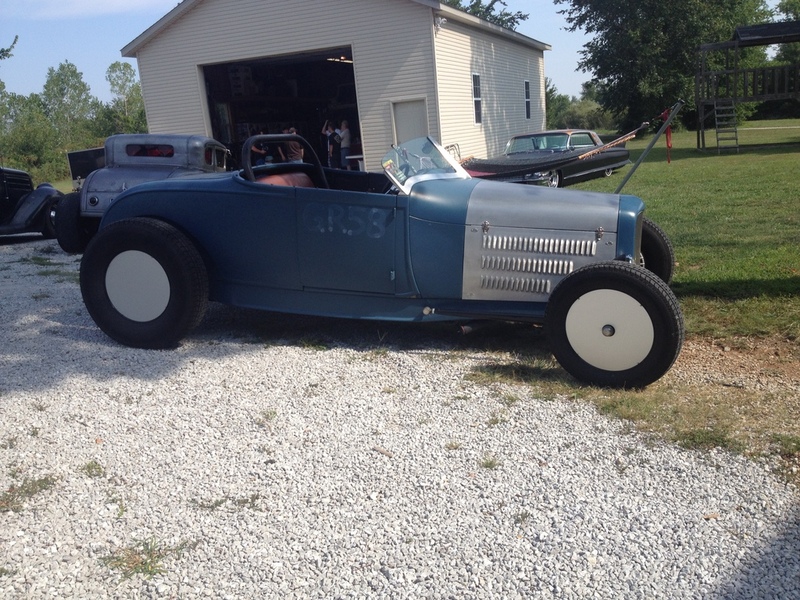 Nick Hoesing’s awesome A Roadster, outside of Ryno’s shop. 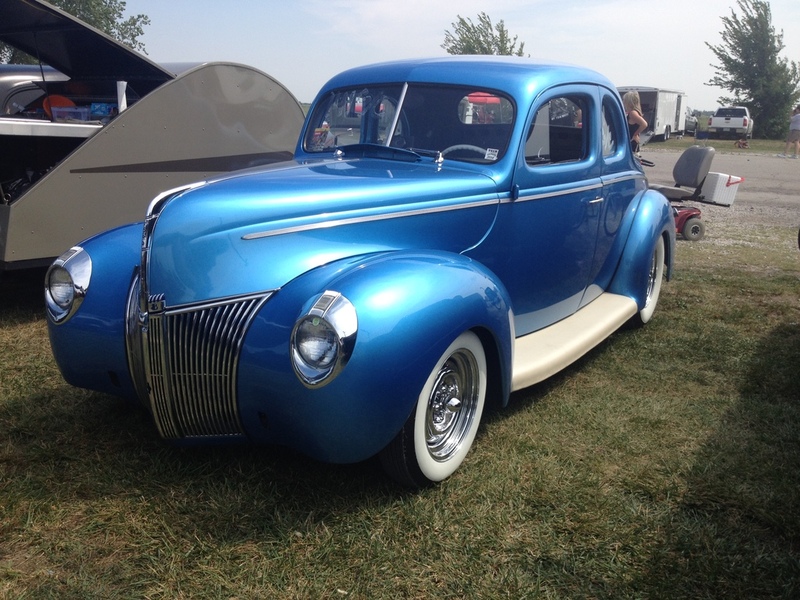 The Yay-Hoo Cup winning coupe, owned by Jason Holland. 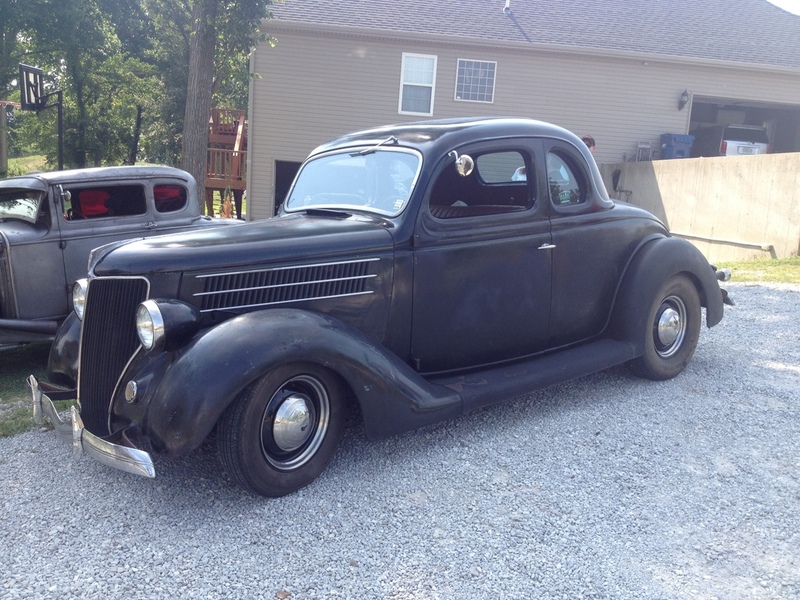 If I did not already own a 40 coupe, a 36 5 window would be on my wish list! It looked good from all angles. Christopher Hay, Me, and David Hay, in our self designated 1940 Ford parking area. Danny and Rusty Burford made it up from Texas. Always good to see them. 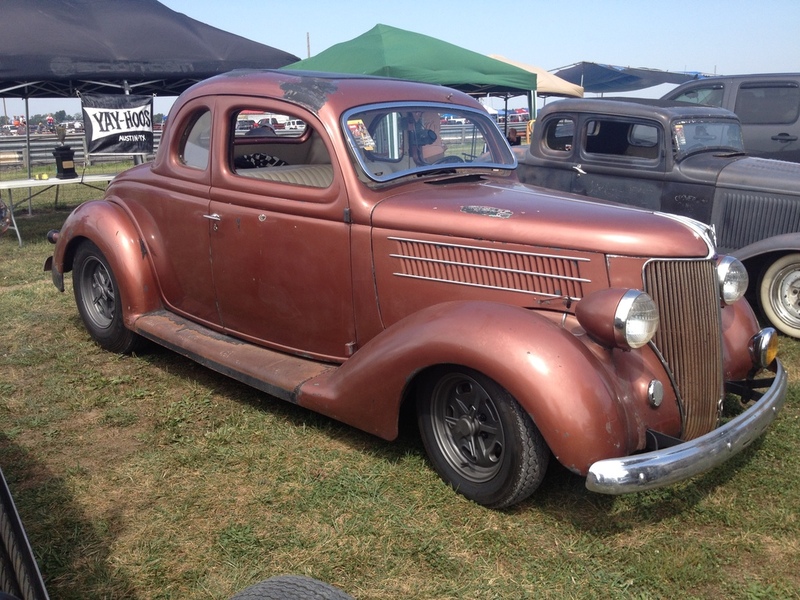 John Swander showed up in his deuce 5 window. 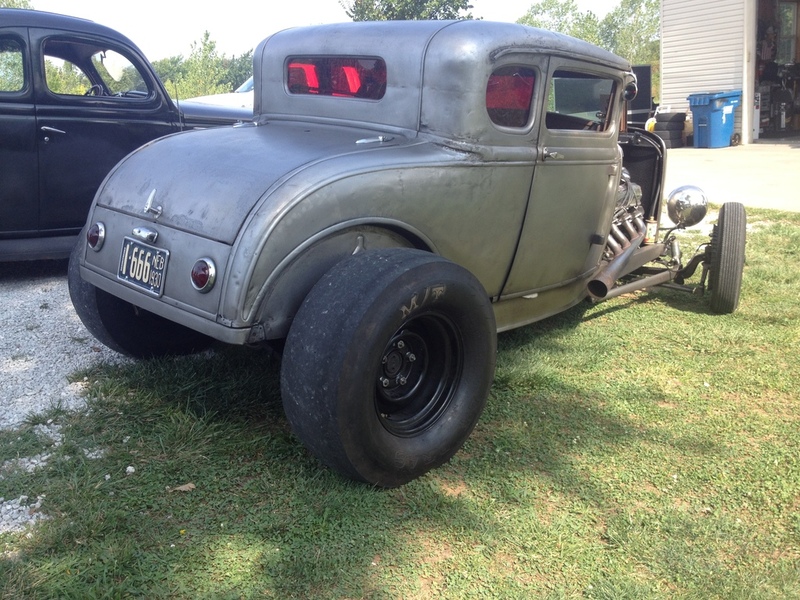 And Russco brought his mostly fiinshed 40 coupe. I am definitely a fan. 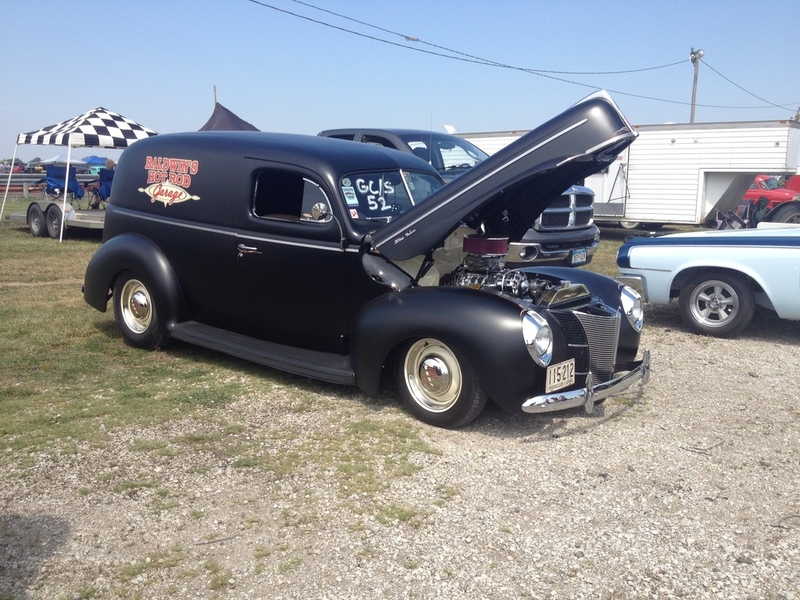 Trailer-Ed drove his 40 Sedan Delivery. 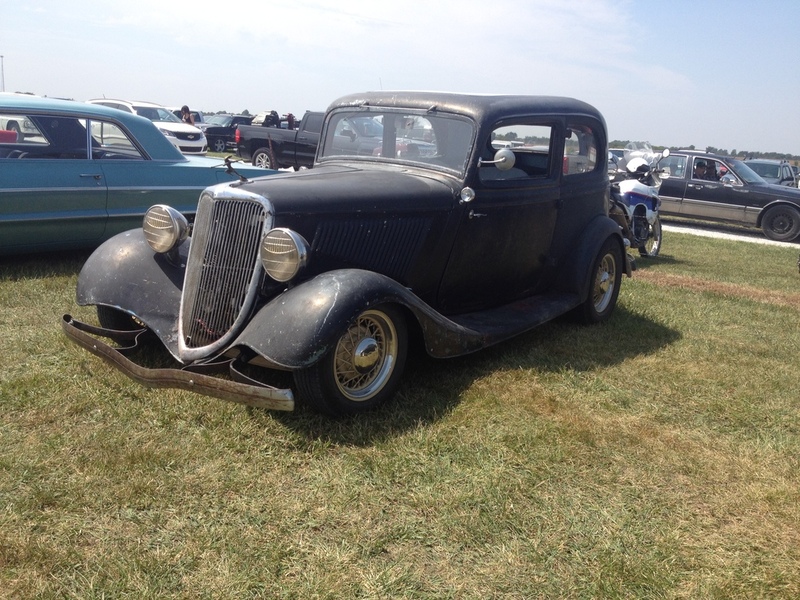 A very cool 34 Vicky that was in the spectator parking area. The drags were cool, as always, but I think I spent way more time looking at cars and talking to friends, than I did watching the races. I didn’t take a whole lot of photos, and I really meant to take pictures of Christopher Hay’s sedan, but I got sidetracked! Dan Hay and me, having fun and goofing around. 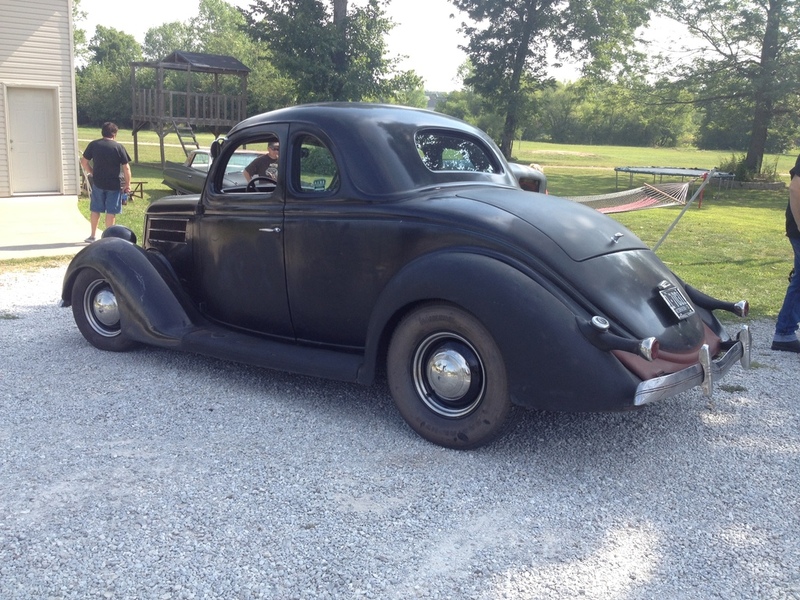 This coming weekend, the coupe and I, will be heading up to Dads house, picking him up, and roaring across Illinois, to the Frog Follies, in Evansville, IN. If ya see me over there, be sure to stop me and say hello! I can guarantee that I will have more photos, when I get back! As always, thanks so much for the photos. I can’t make it to any of these events, but seeing the pics gives me an idea of what’s happening! 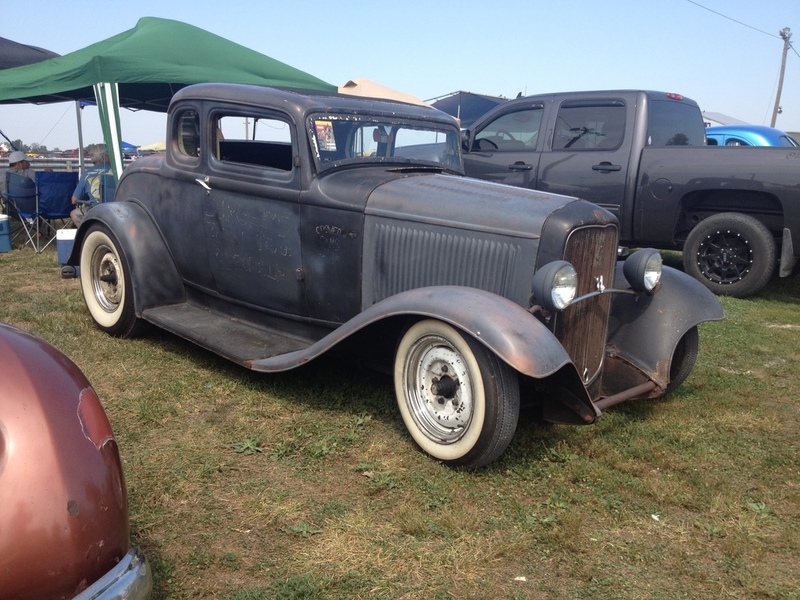 Oh, & did I mention that I like ’36 coupes………….? ?